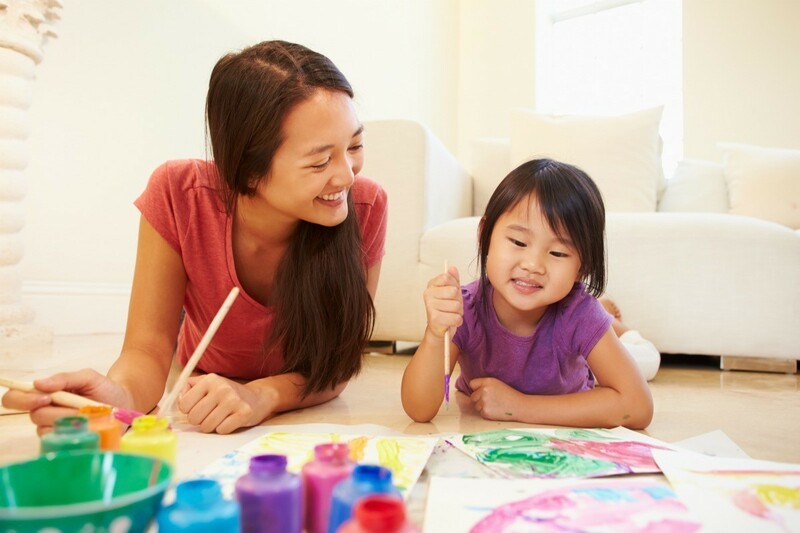 Having planned activities for the children when you babysit can help make it a positive experience for everyone. This is a guide about babysitting activity ideas. I'm babysitting 2 kids for 10 hours every weekday for 3 weeks. I had my first day and it was awful. The kids and I don't click and they get bored really easily. I had only babysat them at night before and had to entertain them for a couple of hours. Now I'm having to entertain them all day (they're both above five). They complain about everything. It frustrates me to the point of tears. I already made a commitment and don't want to back out because they pay extremely well. I need to entertain myself, too, while I'm doing it. Help? What fun stuff can you do with a 5 year old and a 7 year old? You find some good board games for a 5 year old, I bet the 7 year old would be willing to play along. Simple crafts can also be fun at that age, maybe make some homemade playdough (recipe is on this site). Also, ask them what they want to do, let them each pick an activity and take turns. I spy, hunt the thimble (or small toy), hide and seek and then read them a story before bed to calm them down. I made a fun "campsite" in my living room one rainy day. We took a folding table & draped a quilt over that, my great grandson has a small tent which we put against the table end. They pretended that was their camper. We took a cooling rack with legs & that was their camp stove. I let them use my battery powered lantern inside. We gathered up stuff from the kitchen for cooking utensils & they had a really good time. I wanted to do it on the back deck but it rained. You could have a wading pool out there. The possibilities are endless! I'm 13 and about to babysit two boys in the summer, one is eight and the other is five. This is my first year and I'll have them two times a week all day. What fun things should I do? What are some things both a one year old and 3 year old would enjoy? Of course there's always Cheerios, string them, put paste on a paper plate and let both kids make pictures (esp colored cereal). Cover a wall with butcher paper and let them draw on it with washable markers, or draw on the sidewalk with chalk. Just watch them play together and you'll get more ideas. Match cards always work with young kiddos! Cut out the same size rectangles (from card stock or, if you want to be extra "green", try cereal or other boxes). Cover pairs of the rectangles with the same pictures (from magazines or, better yet, pics of family members!). Glue the pics onto the card stock, then cover with a coating of Mod Podge or cover them with clear Con Tac. To play, just flip the pictures onto the other side and have the kids turn over one and then another one, trying to make a match. This game also helps with memory, taking turns, etc. Have fun! A package of plastic easter eggs that can be purchased from the dollar store can be used to play hide the egg. My grand daughter loves to do this. Eggs can be hidden in the house or outside whichever is best according to the weather. This is her favorite. I need help thinking of ideas for babysitting 5 younger kids. I'm babysitting tomorrow and I need some ideas for some activities i can do. There are 4 kids, 3 boys and a girl, (youngest to oldest boys ages- 3,6,8, girl- 11). There are many fun and educational things you can do to enjoy your time together. This is a guide about activities for babysitting a 7 year old. Having activities that are age appropriate can make your babysitting job that much easier and more fun for you and the child. This is a guide about activities for babysitting a 2 year old. To keep your time babysitting interesting, you can include many different art projects. This is a guide about activities for babysitting a 5 year old.